Thank you for signing the Guest Book for Esma Patricia (CONN) HEHIR. Please take a moment to sign the Guest Book for Esma Patricia (CONN) HEHIR. 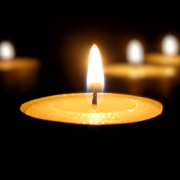 HEHIR (Conn) Esma Patricia 14.07.1933 - 06.04.2019 Passed away peacefully at Ballarat Health Services. Dearly loved and loving wife of Cecil (dec). Loved Mother of Raelene and Ace, Des and Jill. Loved Grandmother to Andrew and Teagan, Chris and Tara, Catherine and Mark, Elysia, Megan and Tom, Rohan and Tatum. Loved Great Grandmother to Rex, Henry and Sam, Annabelle and Emily, William, Oscar and Ned. Reunited with Cecil. Rest in Peace. Cremated at Ballarat on Friday 12th April, 2019. Send me a daily email when updates are made to the obituary or Condolence page for Esma Patricia (CONN) HEHIR.